Having been unable to get to Calum Davidson’s funeral I have been reflecting on the side of his life I saw. Calum was one of the movers in Highlands and Islands Enterprise (HIE) that over a number of years stoically helped make marine renewables a reality in Scotland. 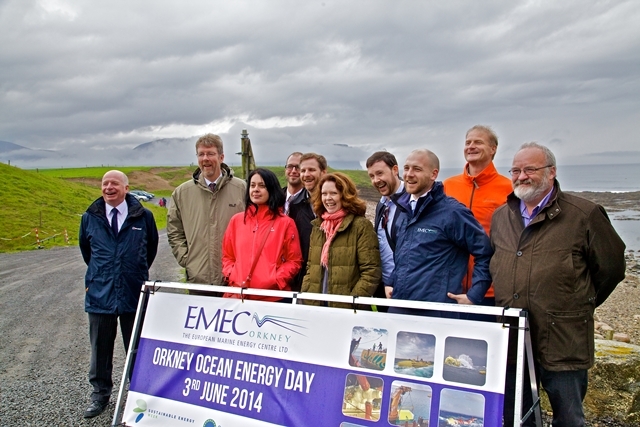 As Director of Energy he helped manoeuvre help for EMEC and others, most recently for the MeyGen project. He was someone who found possible ways though the impossible mire. I have never dared to ask what else he made happen in the background! He was also a gifted photographic chronicler of the new industries being built off our coast, initially oil, but latterly marine renewables, and some of his evocative photos speak of heroic struggles of man with/against machines and the elements, all set against the stunning background of the Highlands he loved so much. I got on well with Calum, in part, because we were the same age. And although we’d grown up at different ends of the country, we had the same sound-track to much of our formative years. We grew up with the Apollo landings taking place as we moved from Junior to Senior school. We each made Airfix models of planes and space craft and hung them from our bedroom ceilings and though those grainy photographs we learned that almost anything is possible. Of course in those days we didn’t know about the endless meetings and letters and arguments and unrelenting graft it takes to turn such dreams into realities. Those lessons come later and we call it ‘growing up’. On a memorable flight up to Orkney together we discovered we had also both found inspiration in the story of how the first hydroelectric schemes were put into the glens in the ’40s. We both marvelled at the work of Tom Johnston, the Scottish Secretary at the time. He too had turned dreams and plans into reality by intelligently winning the battles he could; and never giving up. In doing so he led and enabled the development of much of the Highlands and brought power to the glens. The is story captured in Tom Payne’s remarkable book: ‘The Hydro’. Calum had many of the traits of Tom Johnston. An honest, determined, sociable man with a clear mission and a bloody minded determination to do the right thing. A real player. It is therefore poignant that in the week he died we saw such progress in one of the areas Calum knew and cared about. 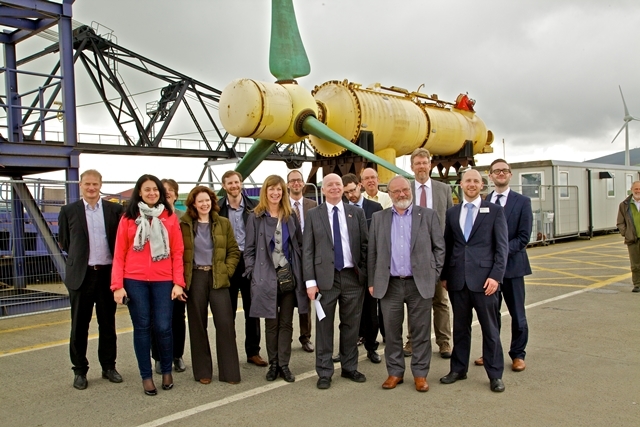 The Scottish Renewables Conference in Inverness heard how there are unprecedented numbers of innovative tidal turbines in the water doing exactly what they are designed to do: harvest sustainable energy from the restless oceans and in doing so build a new industry. We heard of the continued success of MeyGen in Caithness and of Nova in Shetland. We heard that one of the companies testing at EMEC in Orkney, Scotrenewables, had supplied 7% of the county’s electricity from the tides over a seven day period, and EMEC announced that it had produced hydrogen from tides for the first time. However we also had the warning from Edinburgh University that the end of our own oil being available is fast approaching and that we must adapt and diversify. Less clear is that Calum’s lifespan saw atmospheric CO2 levels rise from about 316ppm when he was born to 403ppm on the day he died. At 2 ppm per year, levels seem to be inexorably heading towards the feared 450ppm where we may see catastrophic climate change. In just one short lifetime the effects of our love affair with burning oil have become apparent. In an even shorter time the effects will be here. Is it possible to turn to a different future? Yes it is; indeed recent history shows it is entirely possible to change our course and do things thought impossible even a few years ago. When Calum was born the internet was not even a sketch, there was depopulation and no prospect of the Highlands having their own university. Sporadically scattered red phone boxes were the only way of communicating when out of the house and living standards in the Highlands lagged behind the rest of the UK. Through unsung, concerted and determined work over years by a whole community these things have been changed. 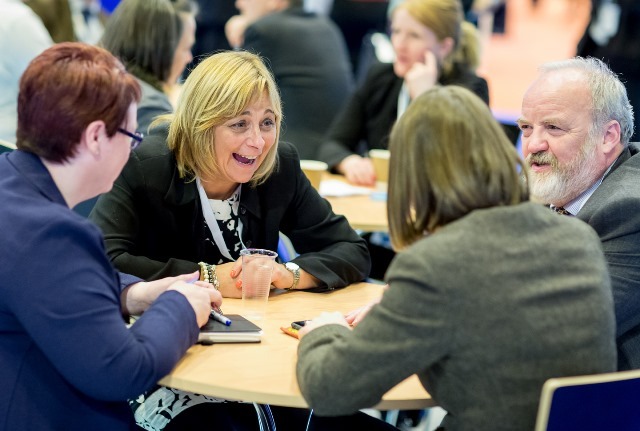 We have fibre and broadband becoming widespread, the University of the Highlands and Islands has been created in Inverness, 4G is rolling out and living standards now make the Highlands a destination for the aspirational not a departure point. So much has changed; but there is so much more to do. We need to continue to build new industries founded on innovation, such as marine energy, and we need to tackle our carbon addiction. We need to improve our digital connectivity and we need to continue to cherish the values that underpin and make this place special. We need to continue to dream and deliver. Much of the progress in marine renewables across the Highlands and Islands has Calum’s DNA intertwined into it. The industry would not be where it is today without him, and he inspired many of us to keep pushing towards our final goal; therefore we will ensure that Calum’s legacy will live on.